"makes the competition feel clunky and staid in comparison"
Since the game’s launch, Titanfall 2 has received universal praise from critics worldwide and has been nominated for the Game of the Year award from The Game Awards, with the winner being announced on December 1st. In multiplayer, Titanfall 2 has built on the dynamic Pilot and Titan gameplay from the first Titanfall and delivered a wide variety of robust modes, maps and weapons for players to choose from. In Respawn’s single player debut, the team has elevated the first-person shooter genre by bringing fresh ideas, clever design elements and innovation to the carefully crafted story campaign. Following the release of Titanfall 2, all post-launch maps, modes, and weapons will be absolutely free to all players, and that all starts on November 30th with the release of Angel City’s Most Wanted. Featuring the fully remastered fan favorite Angel City map from the original Titanfall, Angel City’s Most Wanted introduces additional free content including the Wingman Elite Pistol, six new Titan kits, and a brand new Pilot execution. 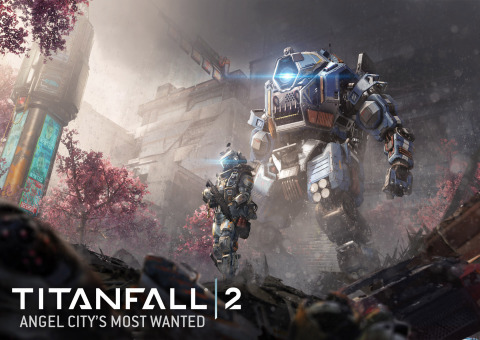 Angel City’s Most Wanted also gives players the ability to purchase cosmetic items for their Pilot and Titan, including camos, nose art, warpaint, and more. 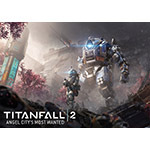 Players who pre-ordered Titanfall 2 ahead of the game’s release will get access to the Angel City map starting on November 30th, while all players getting access to the Angel City map on December 3rd. For more information on Titanfall 2, join the conversation on Facebook, YouTube, Twitter and Instagram. Press assets are available at http://info.ea.com. ** Requires Titanfall 2 for applicable platform (sold separately) and Internet Connection. EA, EA SPORTS, Origin, The Sims, Dragon Age, Plants vs. Zombies and Battlefield are trademarks of Electronic Arts Inc. John Madden, NFL and FIFA are the property of their respective owners and used with permission. Titanfall is a trademark of Respawn Entertainment, LLC. PlayStation is a registered trademark of Sony Computer Entertainment, Inc. Founded in 2010, Respawn Entertainment is an independent videogame development studio based in Van Nuys, California. The studio was formed by Vince Zampella and Jason West, former co-founders of Infinity Ward and two of the co-creators of the multi-billion dollar franchise Call of Duty™. Titanfall 2 is the sequel to the studio’s debut title, Titanfall. More information about the company is available at www.respawn.com.